Here's something which I thought might be worth sharing. 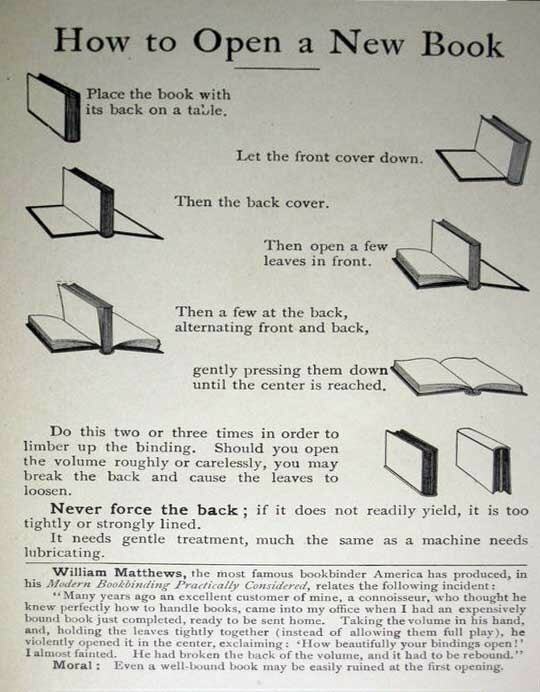 It's from an old, old guide on the proper care of books and shows how to correctly open a book for the first time. I for one have never followed this advice; I usually broke the spines of my new books, just to show them who was the boss.